GRAMMY-nominated violinist, Robert McDuffie joins the Fort Worth Symphony Orchestra for an exciting gala concert that fuses the old and the new. The orchestra will be joined by a rock band for a cutting-edge performance of Mike Mills’ (of R.E.M. 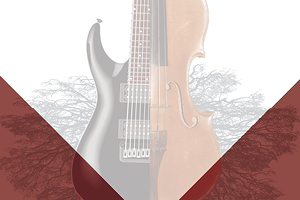 fame) concerto for Violin, Rock Band, and String Orchestra – a work written for McDuffie. Rolling Stone said this work “is cinematic but never schmaltzy, rock-inflected but never corny, classical but never stuffy.” This is a performance you won’t want to miss. McDuffie and the Orchestra will also perform Vivaldi’s ubiquitous Four Seasons – a work that has become engrained into the fabric of our culture, but that is best experienced LIVE.